Getting out the door in the morning is hard work! But it’s possible to create your ideal morning routine so that you never arrive at preschool/school/work/yoga class breathless. Before I had kids, I had a hard enough time getting myself ready in the morning. Once I had kids, I felt like my world was ending. Even if I started getting ready hours before I had to leave, I was still late. Eventually, I realized that I needed to change some things in my morning routine. When you create your morning routine, it helps to think about everything that you need to include, whether you need a flexible routine, and when you need to start and end your routine. What should you include in your morning routine? There are three types of things that you should include in your ideal morning routine: your needs, wants, and goals. 1. What do you need to accomplish in the morning? Pajama parties are favorites in our house, but on those days when we actually need to wear clothes? Knowing what we need to accomplish before getting out the door or starting our day is essential. By prioritizing your morning (and learning how to create a manageable to-do list for the entire day), you’ll have a smoother morning. Make a list of the important things (breakfast, clothes, medicine, teeth brushed) that can’t be skipped. 2. What would you like to accomplish in the morning? In a perfect world, what would you accomplish each morning? Emptying the dishwasher? Starting a load of laundry? 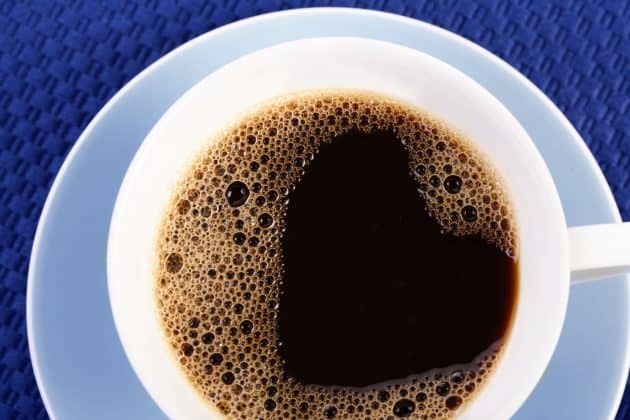 Having an extra 15 minutes to enjoy a cup of coffee before the kids wake up? Make another list of tasks that you would love to include in your morning routine but wouldn’t be the end of the world if they were skipped. 3. What would help you reach your goals? Has “lose 10 pounds” been your New Year’s resolution for the last five years? If you’ve been setting goals and not reaching them, try to make them into a daily habit. Think about one thing that you could do every morning to push you closer to reaching your goal. 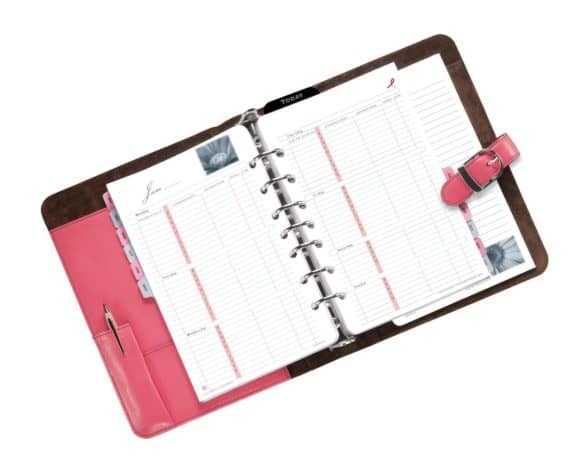 You may also find it helpful to track your goals. After you do your one thing, mark it off on a calendar or habit tracker. 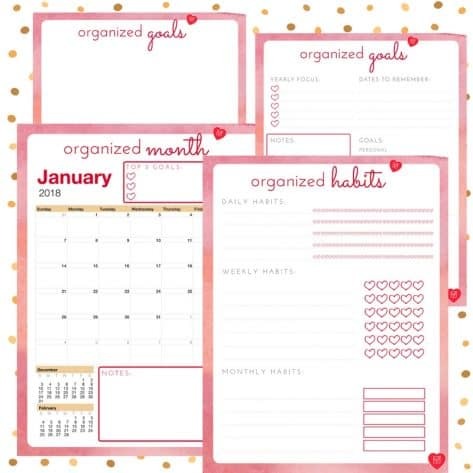 I use the daily layout in my Organized Motherhood Planner as well as the monthly habit tracker to make sure I’m on track to reach my goals, but I’ve also used Powersheets to plan and track my goals. 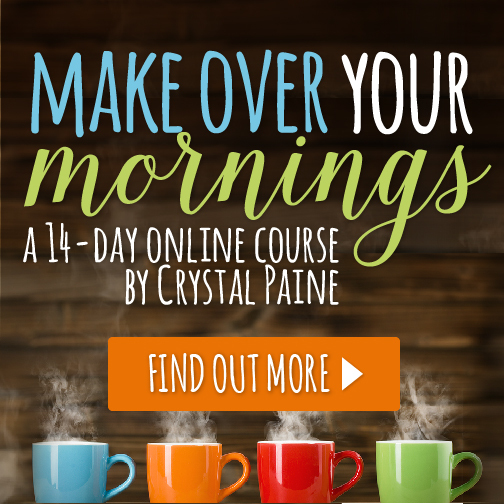 Do you need several morning routines? Your day may look different every day. Maybe you work part-time or take your child to preschool three days a week. Maybe you go to the YMCA for Zumba twice a week. Or maybe you just had a rough night and want to sleep in a little. I ‘m not a natural morning person, but so many productivity books recommend starting your day ridiculously early. While I see the benefits of getting up early (or at least before the kids wake up), it’s not always practical. Maybe you have a newborn or a toddler who is potty training. Maybe you have an older child with health issues. If you or your kids aren’t sleeping through the night, waking up early might be the worst thing you could do for your health. One of the most freeing things I read was in The 5 A.M. Miracle. No, you don’t have to wake up at 5 AM every day (or ever). 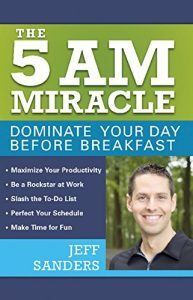 The point of the book is to create several morning routines to help you reach your goals for that day. Your days may look different each day, and that’s ok. But by creating a routine for different days, you’ll be able to hit the ground running (and keep your sanity) all day long. When will you start and end your morning routine? Now for the hard part! I’m terrible at estimating the amount of time that things take to complete, but apparently, I’m not alone. Most people underestimate by 25-50%, which means that they assume a 30-minute task will take 15-22 minutes. That’s not good when your child could miss the school bus or you’ll be late (again) for preschool drop-off. When you’re trying to plan your morning routine, make sure that you’re accurately planning for all your tasks, including your end time, start time, and unnecessary time. What time do you need to finish your morning routine? Your finish time is the time that you absolutely must be ready. This could be preschool drop-off time, the time that the bus comes for your school-age children, or the time that your favorite Zumba class starts. It could even just be the time that you want everyone dressed and ready to play. When determining your finish time, add a little extra time. If preschool starts at 9, plan to be there by 8:45 a.m.
What time should you realistically start your morning routine? When figuring out your start time, work backward from your finish time. Take your lists of everything that you want to include in your morning and estimate the amount of time that each task will take to complete. Add up the total time, and then subtract that time from your finish time. For example, if you have 80 minutes of activities to finish in the morning and you have to be to preschool by 8:45, your start time would be 7:25 a.m. When you’re figuring out your start time, remember to account for the little things. This was where my morning routine always broke down. I knew it took eight minutes to drive to preschool (ten if I had to stop for a red light), but I never accounted for the extra time it took to lock the house, buckle my kids, and get myself in the car! When we arrived five minutes late every day, I would always wonder why. Don’t forget to add buffer time to each task, too! If it normally takes five minutes for your toddler to get dressed, plan for 10 minutes. If it takes 20 minutes to drive to preschool, give yourself 30 minutes. You never know when your toddler will have a tantrum or you’ll get stuck in traffic (or behind garbage trucks, trains, etc.). 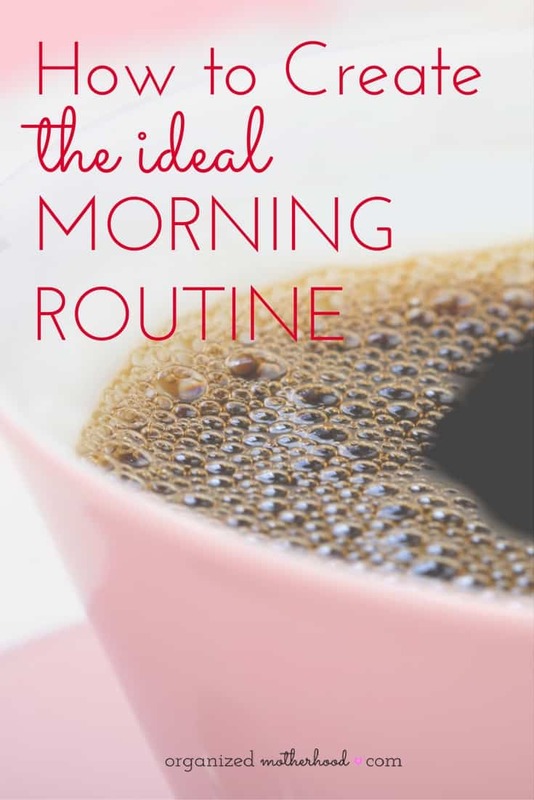 If you need help figuring out a realistic start time for your morning routine, download my free morning routine template. 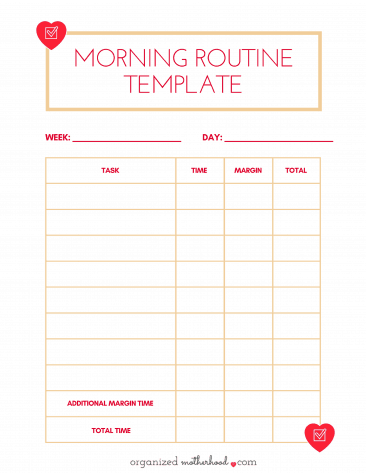 Get the Morning Routine Template to create your ideal morning routine and get out the door on time!You’ll also receive access to the free Organized Motherhood Resource Library. What could you do at a different time? When you’re looking at your morning task list, try to figure out what you could do at a different time. Is there anything that you could eliminate to speed up your morning routine? I used to let my kids watch cartoons for a few minutes in the morning, but then they wouldn’t eat breakfast. I finally changed the routine so that they could watch cartoons as a reward once they were completely ready. If they had five minutes before they needed to put on coats and shoes, they could watch for five minutes. If they dawdled and didn’t have time… no cartoons. As you’re evaluating your routine, think about things that you could do ahead of time. Instead of making lunches, or even breakfast in the morning, try preparing the night before. Even little things, like setting the table, add up and could be done the night before. 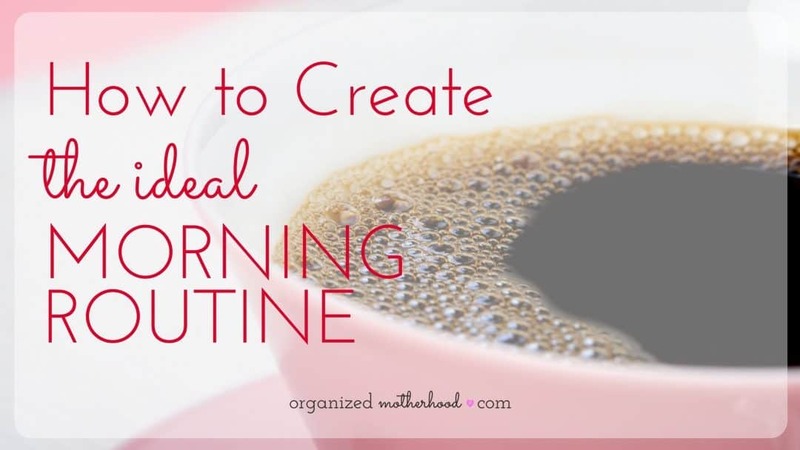 By planning for everything you want to include in your morning routine, deciding if your routine needs to be flexible, and setting a start and end time, you will be able to create a morning routine that works for your family. Here’s to having a stress-free morning!